All files were high quality resampled, timestretched, volume normalized and equalized. Upload include md5, ffp and artwork. The penultimate show of the tour includes great versions of "Jungleland" and "The Fever" and the last known "Pretty Flamingo" (until 2003). 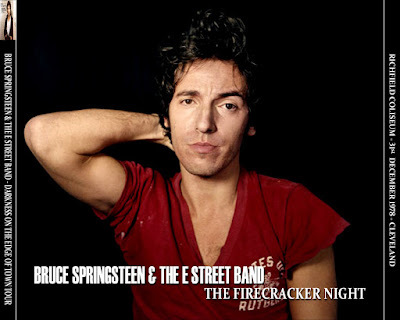 This is the famous "Firecracker show" where someone threw one on stage which hit Bruce, provoking a rant from Steve Van Zandt. During the next tour Bruce would regularly ask people not to let off firecrackers. Soundboard (which has none of the encores) and audience tapes. Sound is good. The soundboard portion is available on CD 'The Firecracker Show' (Moonlight). The audience tape (Unbooted) covers the encores, but cuts during "Quarter To Three". 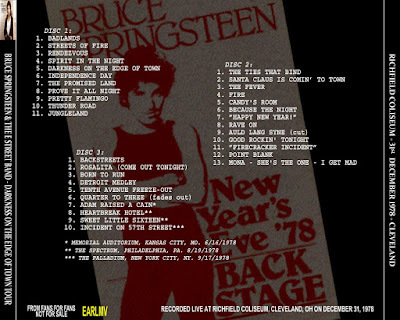 The soundboard and audience tape have been combined to form the complete show, available as 'The Firecracker Night' (Earlmv). Thanks for this really useful post. the original Moonlight release was always inadequate missing the final 4 songs. The audience tape on this is an upgrade to what I have on cassette.